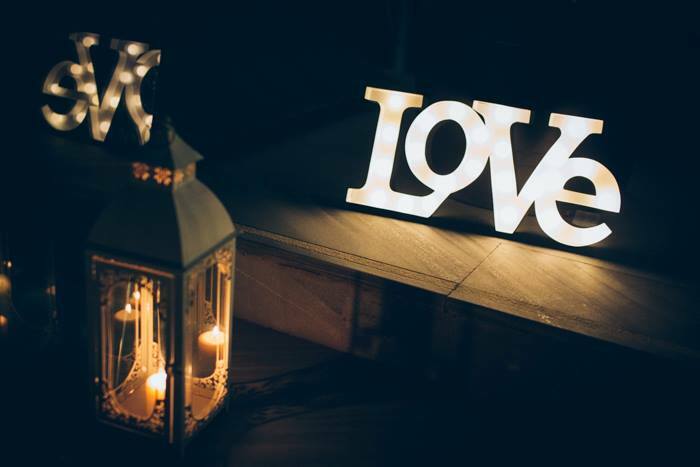 You may not know it, but these two phrases; I love you because, I love you despite, are two important as hell wedding tools that can help you during the planning of your ceremony in more ways than you can imagine. If you are looking for ways to make your ceremony more personal and more about you and your love bunny, then make these two phrases are your new best friend, because you will be surprised by how much they can help you in the run up to your ceremony. Now, as much as it pains me to say, I know that for some couples the ceremony does not always start off as the most important part of the whole wedding day and that some people only arrive at that point once they start looking at all the amazing things that can be done during their ceremony. Then suddenly it hits them, ‘BOOM,’ and they realise how goddamned awesome their ceremony is going to be. So if you are someone who needs a bit of inspiration, who needs to mentally get yourself in the mood for your ceremony, then I can’t think of a better way than to do a bit of ‘I love you because, I love you despite,’ homework. So using my own husband as a guinea pig, as I do with all things in life, I’m going to give you some examples of how you can use these phrases to get yourself thinking about all of the reasons why you love your love bunny and how you might be able to use these phrases or their sentiments throughout your ceremony. I have written four phrases for each one and I’ve even surprised myself at how quickly it took me to think of them and to write them down. I LOVE YOU BECAUSE you bring me a cup of tea in bed, every morning, without fail. I LOVE YOU BECAUSE you are one of the most inspirational people I know. I love how you can turn your hand to anything you set your mind to, and it inspires me so much. I love that one day you decided you’d play the banjo. So you bought a banjo and learnt how to play it. I love that you decided you wanted to become a boat captain, so you went on a sailing course and became a boat captain. I love how you didn’t want a web designer messing with your website, so you redesigned it yourself with no web experience and just using the internet, and it’s bloody awesome. I will aways love you because of this and it inspires me all the time to get on and do what I need/want to do in life. I LOVE YOU BECAUSE you are a passionate human being. You do not do things in half measures and your beliefs are strong. Sometimes too strong for me, but I love that you will not be moved. I LOVE YOU BECAUSE you are the best dad to our son and our doggies. You may do too much bundling and not enough bath times and spoil them all way too much, but I wouldn’t have it any other way and neither would they. I LOVE YOU DESPITE the way that you are bloody well, annoyingly good at everything you do. Really annoying. I LOVE YOU DESPITE the fact that whenever something goes wrong, you have to ALWAYS give your opinion (which is ALWAYS presented as fact) for why something has gone wrong and you ALWAYS have to give your opinion on whose fault it was that whatever went wrong, went wrong. I would just prefer to work on the solutions. I LOVE YOU DESPITE the way you tell me the truth about how I look when I don’t want the truth and you don’t me the truth about how I look when I need it. I LOVE YOU DESPITE your big booming voice which often doesn’t give me (yes me, Mrs Motormouth) a chance to get a word in. The same voice that when we are out for dinner, if we aren’t stared at by the whole restaurant, we’re usually asked to be quiet because you are so loud. And PS, when you whisper, it’s still really really loud. And that’s my lot. I hope my husband will still love me despite writing this about him! Oops. I wrote four phrases for each, but you could do as many or as little as you wish, or feel able to do. I would always recommend writing the same amount for each, or more for the ‘love you because’, than the ‘love you despite’. If you find your list has more ‘love you despite’ than ‘love you because’, then erm, I’m not really sure what to say about that! Maybe you need to try a new list! Use it as the basis to write a love letter to your love bunny. It’s becoming really common now for couples to write each other love letters which they present to each other on their wedding day. Some couples give love letters to be opened on the morning of the wedding day, others leave them for their honeymoon and some incorporate their love letters into the ceremony. All fab ideas! This technique is an awesome way to help you write personal vows too. In a mixed pledge vow, where you talk a little about why you love your love bunny before you make promises to them, this list will help you to draw up the parts that you want to list. 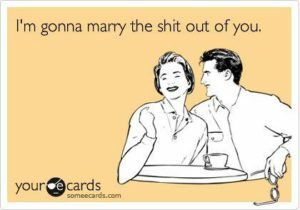 And if you are looking to write vows which have a mixture of love and humour, then this list will work awesomely for you. In some ceremonies, some couples like to explain in their own words what marriage and love means to them. I know that with my own wedding clients, I like to hear from them what it means and often I will read out their comments during the ceremony. But quite often some of my clients tell me that they don’t know how to get started, where to begin, so this is a perfect way to get those feelings out of your head and heart and down on to a piece of paper. Being married to you not only means that I will be marrying my best friend and the my official morning tea-maker but also the most annoyingly perfect person, who is good at every single thing that he does. So do you see how I used some of the extracts from my love list and re-worded them to speak in a broader way? Some of my couples have used this list as an element within the ceremony themselves. So what they both did was to fix a number of sentences that they would write and then they would each write their sentences and read them to each other during the ceremony as a surprise. I love this. And sometimes, it’s so funny when couples do this and you find some of their sentences about each other are almost EXACTLY the same, even the ‘I love you despite,’ ones! Hopefully, you’re feeling inspired and raring to go with your long(ish) list of the wonderful and not so wonderful things about your love bunny. And even if you don’t do anything particular with you list, isn’t beautiful to have a lovely little reminder of how special your love bunny is to you?